Bentley’s division which deals with personal commissioning, Mulliner, has launched a a new finish on a classic wood veneer. This new finish highlights the natural, authentic beauty of walnut and is yet another option for the interiors that Bentley customers can enjoy. Mulliner has sourced the open-pore walnut is sourced from a tree type that is very special as it combines the characteristics of European Walnut and American Walnut. The handcrafted finish, which is completed by expert craftsmen at Bentley headquarters in Crewe, England, further enhances the large pore structure to reveal the intense dark coloring of the wood. The trees from which the wood is sourced are grown specially for Bentley, mostly in in California, and the company’s wood experts visit on a regular basis ot ensure that only walnut veneer of the best quality is selected for use in Bentley’s cars. This venner is cut carefully cut from the textured section of the tree burl. This burl is found between the outer layer of sap and the inner core. The next process is to paint the open-pore Walnut veneer with just three, ultra-thin layers of lacquer, all of which add up to only 0.1 mm in thickness. Compared to this thickness, Bentley’s High Gloss lacquer coating which has a smooth, glossy finish is 0.5 mm thick.Each layer of lacquer is applied by hand and sanded between applications so that the lacquer sticks to the natural grooves of the wood. The outcome of this painstaking process is a wax-like finish which perfectly highlights the authentic, natural colour and texture of the walnut.The use of this delicate technique highlights the natural texture of the wood and each veneer will be slightly different as there will be variations in the colour and grain of different cuts of open-pore Walnut. Thus customers can enjoy a a truly unique Bentley interior. Customers can opt to have this finish in the Flying Spur, Bentayga and Mulsanne. Mulliner is the Bentley division that was set up with the goal of meeting the requirements of the individual Bentley customer. 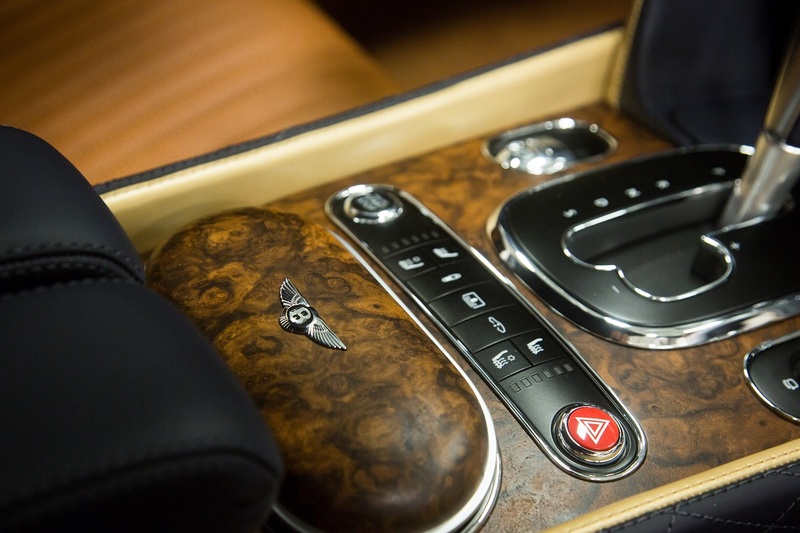 It can cater to simple requests like monogrammed upholstery, or more detailed bodywork modifications that make full use of the expertise of the Mulliner team.